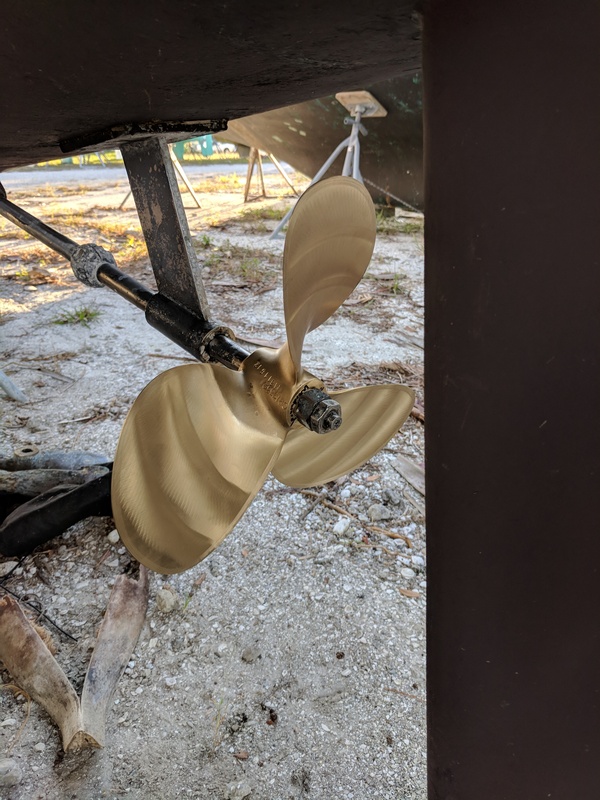 This entry was posted in Sailing on February 11, 2018 by Captain. In early September, 2017, hurricane Irma cut a swath across the Atlantic and Caribbean as a cat 5 hurricane causing extensive destruction in the Leeward Islands, the BVI, USVI, Cuba and the Florida Keys before it turned North up the West coast of Florida. We watched in horror from our home in Lexington as Irma carved a direct path up the West coast of Florida toward Terrapin. However, I knew I had done everything I could to protect Terrapin from this eventuality. In May I had put Terrapin in a storage yard called Safe Cove Boat Storage. 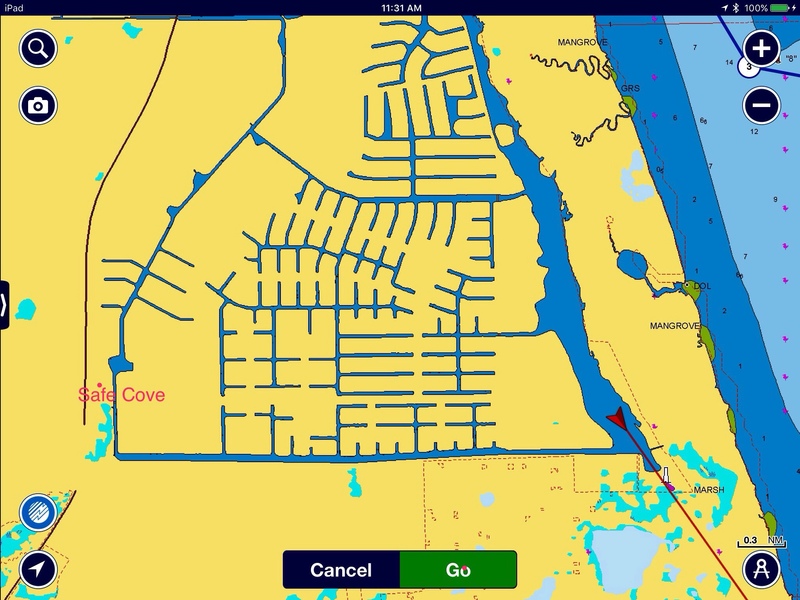 Safe Cove is within a canal system well inland from the Gulf and so was pretty protected from storm surge. I also paid extra to have Terrapin tied down to concrete blocks with straps. I had also removed all sails, most of the running rigging, and all canvas. Luckily, Irma weakened to a cat 3 as it made landfall in Florida. It moved slightly to the East of Punta Gorda and ended up causing minimal damage to that area. There was no damage to speak of in Safe Cove in spite of high winds. Even if Irma had hit Safe Cove with more force, I feel that Terrapin would have had a fighting chance. 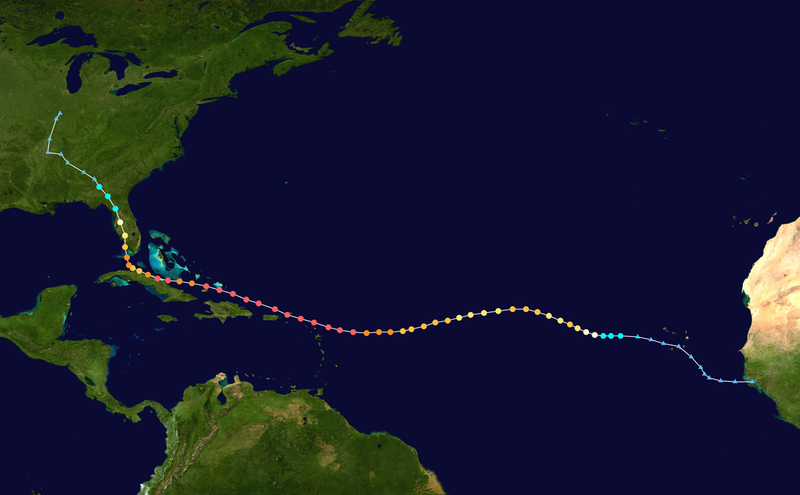 The last time a hurricane hit the Punta Gorda area was 2004. Hurricane Charlie did extensive damage to Punta Gorda and areas surrounding Port Charlotte. So, i will continue to tie down Terrapin in Safe Cove and hope for the best. She is insured. We looked at boats on line all over the country. 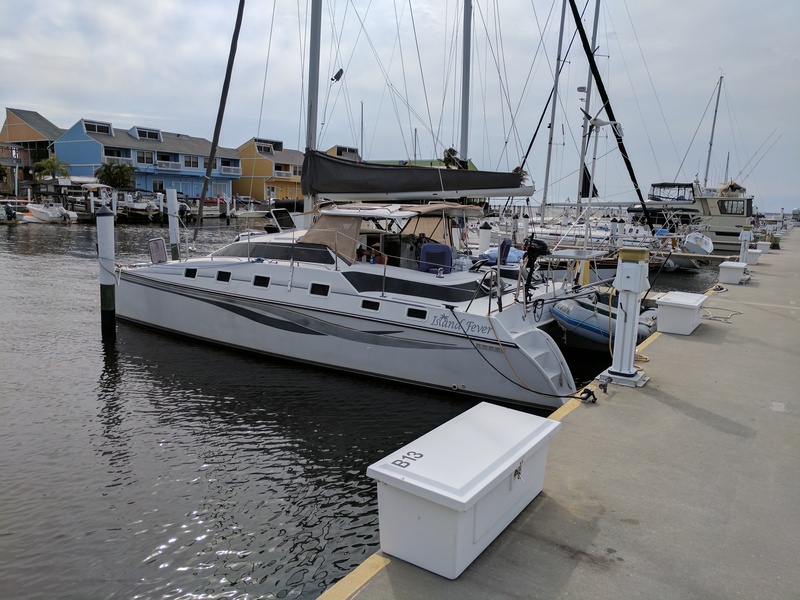 I had pretty much narrowed down the boat I wanted to the PDQ 32 (more about that in another post). But where to locate the boat? As commuter cruisers, we plan to maintain our home in Lexington Ky, and I will continue to work at the University. We considered buying a boat in the Caribbean and keeping it in a marina there, moving it to Grenada for hurricane season. However, the logistics of getting back and forth to Lexington were formidable. After spending some time in Sarasota and checking out the West Coast of Florida, we realized that we have beautiful sailing grounds right in our own backyard, so to speak. The “aha moment” came when we realized that Allegiant Air flies non-stop from Lexington to Punta Gorda 5 days a week with really cheap fares. So, it made perfect sense to locate the boat in Punta Gorda. This narrowed our search to the East Coast of the US and the Gulf Coast. If I found a boat in this area, I could easily sail it to Punta Gorda, although sailing from the Northeast would take some time. 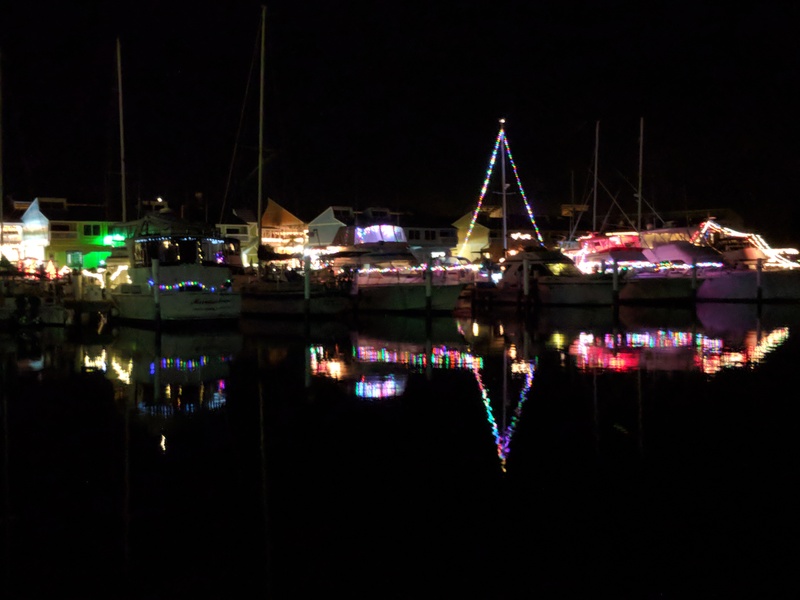 As it happened, a boat came up for sale in Sarasota, and the sellers were happy to move it to Punta Gorda for us to inspect. After going through the inspection, purchase, registration, identifying a marina, storage, etc, it was invaluable to be able to easily travel from Lexington to Punta Gorda in 2 hrs. With respect to a marina and boat storage, I think we were extremely lucky. 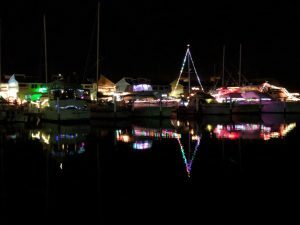 Punta Gorda has a fantastic marina called Fisherman’s Village Marina. We were lucky enough to secure a slip for the season (November through May). Then we located a great boat storage yard called Safe Cove, which is a 2hr sail across Charlotte Harbor in a freshwater canal system. I can’t imagine trying to do all this in the Caribbean in a foreign country. I know a lot of people do it, but I’m not sure everyone thinks it through. Location matters! This entry was posted in Sailing on February 10, 2018 by Captain.